Jeff Greene is an emerging young bassist and composer from Chicago. He completed his B.M. in Jazz Studies from Indiana University in 2004 studying with Bruce Bransby, David Murray, Donovan Stokes, David Baker, and Steve Houghton. He has performed in such legendary venues as the Green Mill, the Velvet Lounge, the Hungry Brain, the Metro, and the Park West, as well as at the Taste of Chicago, Millennium Music Conference 10, and the 2009 Chicago Jazz Festival. In June of 2004 he was invited to attend the Steans Institute for Young Artists at Ravinia where he studied closely with David Baker, Nathan Davis, James Moody, Rufus Reid, and Danilo Perez. In April of 2006 he was selected to attend Betty Carter’s Jazz Ahead program at the Kennedy Center in Washington D.C. where he studied with Curtis Fuller, George Cables, Winard Harper, and Billy Taylor. Jeff has recorded albums with the James Davis and Greg Duncan quintets, as well as the Nick Fryer and Doug Stone Quartet and Fitted Shards, performing the music of New York saxophonist Greg Ward. As a composer he has written more than sixty pieces for various ensembles, recorded more than thirty of his own compositions as the leader of Human Motion and Blink, and in 2007 the Illinois Arts Council awarded Jeff an Artists Fellowship in Music Composition to support the creation of new, original works. In 2008 he was commissioned to write Storylines, a large ensemble piece for the Ears and Eyes Festival in Chicago. Blink was signed to the world-renowned Thirsty Ear label in the spring of 2008 to release their debut album, The Epidemic of Ideas. Their newest recording, The Architects, was released in 2011. That same year Jeff completed his Masters degree in Music Composition at DePaul University where he studied with Juan Campoverde and Kurt Westerberg. The Range of Their Vision, a composition for solo acoustic bass and electronics, received the 2010 ISB/David Walter Composition Competition and was premiered at San Francisco State University during the 2011 International Society of Bassists’ convention. Also in 2011, Organics, for two percussionists, received the 2011 Kleinmann Award from DePaul University. 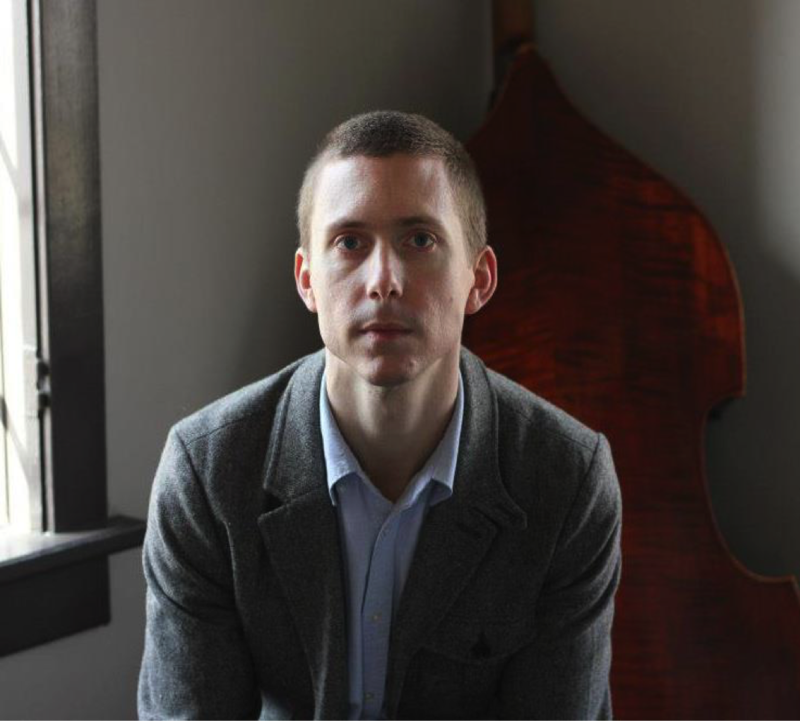 Jeff’s second work for solo double bass and electronics, Marrow, received the 2012 ISB/Walter Competition prize. Given biennially, he is the first composer to ever earn the award two times.